In Vol. 5, World Champion Gentry Stein shares tips and techniques for building a routine and how to practice more effectively. 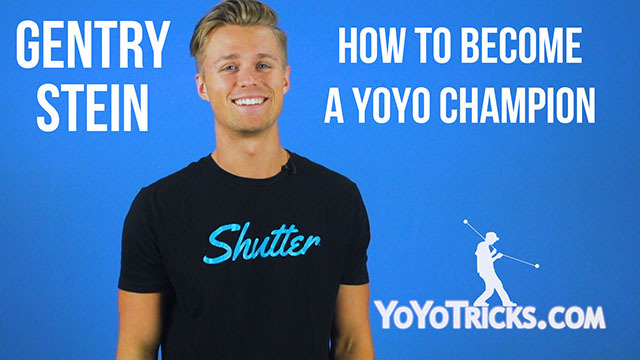 How to Become a Yoyo Champion: Vol. 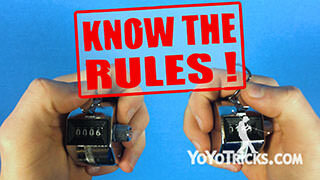 5 Prepare Your Freestyle Yoyo TrickThis is the 5th video in the “How to be a Yoyo Champion Series”. In this video, were going to go over some of the first actions to take when making your routine for contests, then we’ll go into detail describing some practice techniques you can use to get ready to slay the competition. When first building a routine, make sure to write all of your tricks down. You can think of this as a paint palette of tricks. As you structure and restructure your routine it will be much easier to swap tricks in and out if they are all written down in one place. Also, make sure to map out your space use so you can remember where you will be on the stage during each part of your routine. Finding your music and starting preparation as early as possible is crucial as well. 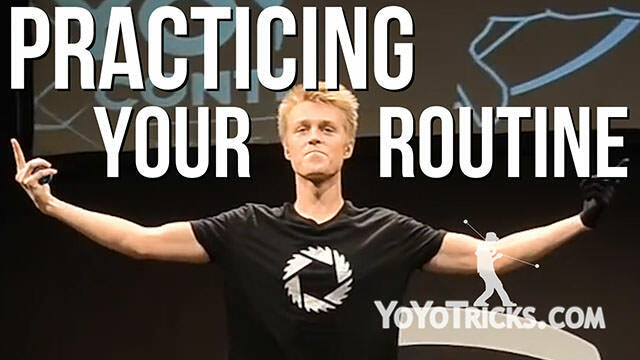 This way you’ll have time to plan a solid approach and consider all the aspects of building a routine we have discussed in the previous videos of this series. Putting off your preparation till a week before the contest will not allow you to build a well balanced routine. World winning routines often take 6-12 months to prepare, and these are by well seasoned players. For your first routine, it is never to early to start putting things together yourself. As you practice more, be sure you don’t burn yourself out. It’s important to maintain a good life balance. If you drain yourself and get into an unhealthy mood or mindset, your practice will not be nearly as efficient. Something I pay attention to, is if I’m not enjoying my practice, it may mean I’m over doing it. When that starts to happen I’ll take a break and do something else. When looking to build consistency, more days is more valuable than practicing for more hours in a small amount of time. You can think of it like brushing your teeth. If you brush your teeth once a week for 56 minutes, it won’t be as beneficial as brushing your teeth twice a day for two minutes each time. Another thing to consider is that studies have shown that practicing in about 30 minute increments is more effective that practicing for hours at a time. This works because you avoid the muscle fatigue that sets in when you practice for hours at a time, which means that muscle memory can set in faster. This also shows how important it is to take breaks as you practice. When it gets closer to contest time, and your routine is already finalized, you can try doing your routine 9 – 10 times within this 30 minute span to maximize your potential to benefit from your practice session. Between practicing sessions a break of 20 – 30 minutes is also ideal. You might think it’s good to stay up late at night and practice your tricks thousands of times, but actually, getting a proper amount of sleep is crucial, and should usually be prioritized over that extra hour or two of practice, because while you’re sleeping, your body allows the new skills and habits that you have been practicing to set in. For example, while you’re practicing your routine, you may not notice any improvement in consistency that day, but you will most likely notice the improvement the next morning. Once the routine is built and the tricks are practiced to the point of consistency, I like to practice as if I am on the stage at the contest. This means running through the routine completely without stopping. It may be tempting to start over if you mess up, but because you obviously can’t do this on stage, it’s good to practice getting through these mess ups. 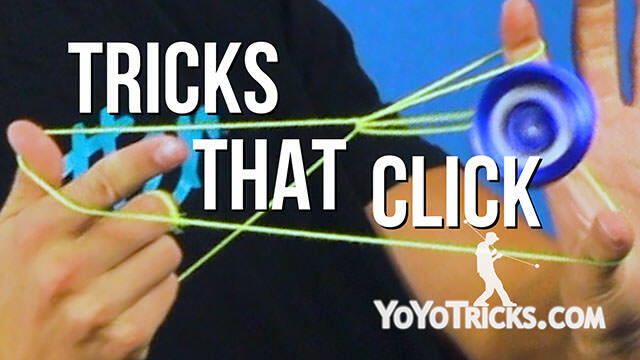 Also, set up your back up yoyos the same way you would when you’re at the contest. I recommend setting them in a place on the stage where you will not be performing, so you do not accidentally kick them while performing. Of course you will want to set up the loop to be open and ready to go in case you need to change yoyos. Use the same products that you will be using on stage, practice all aspects of your routine, all of the movements… etc. A lot of the time it’s necessary to practice in a spacious area so you have somewhere close to the same amount of space you will on stage at the contest. Try to have sessions of practice where you are listening to the music through external speakers instead of just headphones. All of these things can make your practice seem more realistic. Another thing is to try practicing your routine in front of people. The more times you do your routine for an audience the better. One method of practicing your consistency with tricks is what I like to call the ten method. When practicing this way, pick one of your tricks, and try your best to perform it flawlessly. If you hit the trick absolutely perfectly, count “1”. 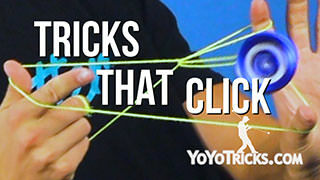 Perform the trick until you are able to do it flawlessly 10 times in a row. If you make even the smallest mistake like a missed bind, a string miss, or even a loss of control like the yoyo hitting your hand, start back over at 1. 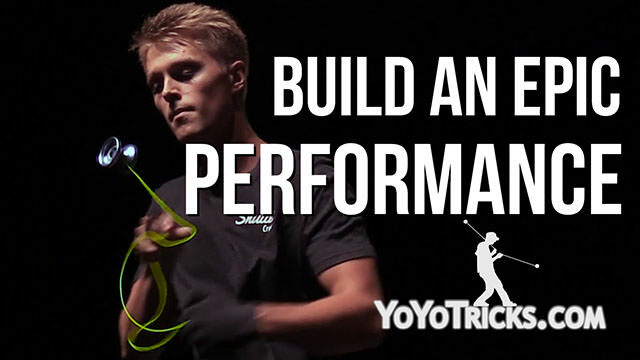 When you’re first trying this, hitting a trick 10 times in a row flawlessly can feel brutally difficult, but once you’re able to do it your trick should be stage ready. Everything I’ve talked about here shouldn’t be taken as the only way to practice. But these are some methods that have worked for me AND for other world champions. Finding what works for you is part of the practicing process, so hopefully I have given you a good place to start. In all of these things, balance is crucial. 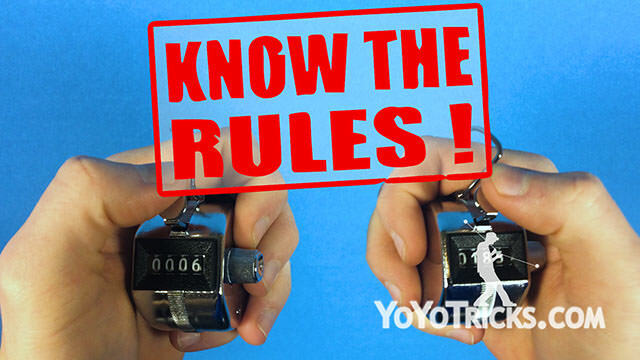 Finding a balance between good health, rest, and practice will not only help you improve faster, but will make practicing for a yoyo contest much more enjoyable overall.